Window manifestation is vital on a glass of certain size in certain locations to make it visible. Many large glass partitions in high traffic areas can be difficult to detect, by law and regulation manifestation can be used in strategic locations to make it easily to see and preventing potential accidents. 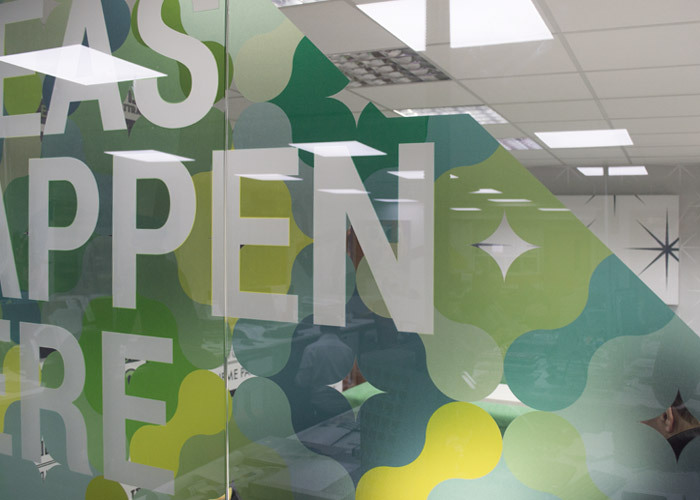 DDA regulations state that manifestation and graphics to glass screens and doors must comply with a minimum requirement by law. Although these requirements state where and when manifestation should be used, it doesn’t state what and how it appears meaning we can get as creative as your brand. Window Manifestation can incorporate your brand and logo. Anything from standard dots and squares, using your windows as the perfect design element. We use state-of-the-art printing and cutting techniques to make sure there is a clear contrast between the glass and manifestation. We can help through all stages of manifestation, from providing advice on the legal requirements to the final install. We can even design your manifestation for you, incorporating your brand colours and logos, taking all the stress away. 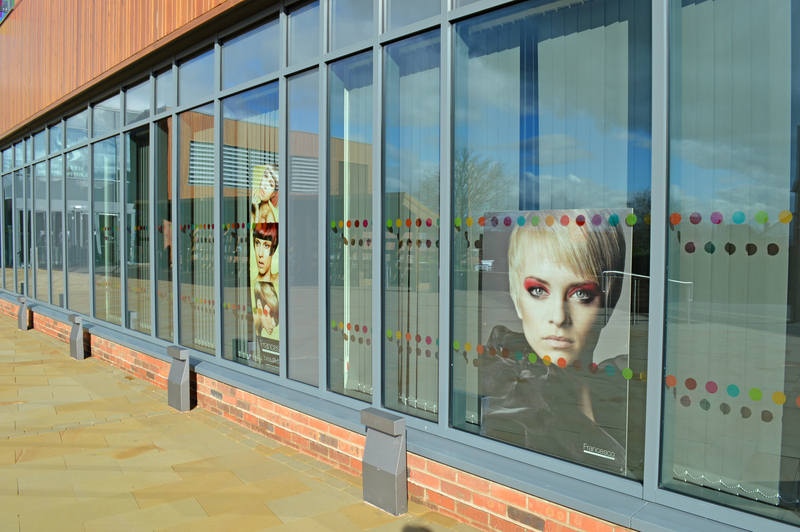 Contact us to find out more or request some samples of our Window Manifestation then please contact us on 01332 613900. Alternatively, you can fill out the contact form below.